We’ve seen NOTHING but lies from those cretins over at the brady campaign to destroy our Bill of Rights, but THIS, my Friends, takes the cake! These idiots have been so deeply and thoroughly brainwashed by the lies being vomited down their throats each and every day. Each and every one of them have become nothing more than brain-dead sociopath pathological liars. I am ONE HUNDRED PERCENT certain that their “plans would change”….. 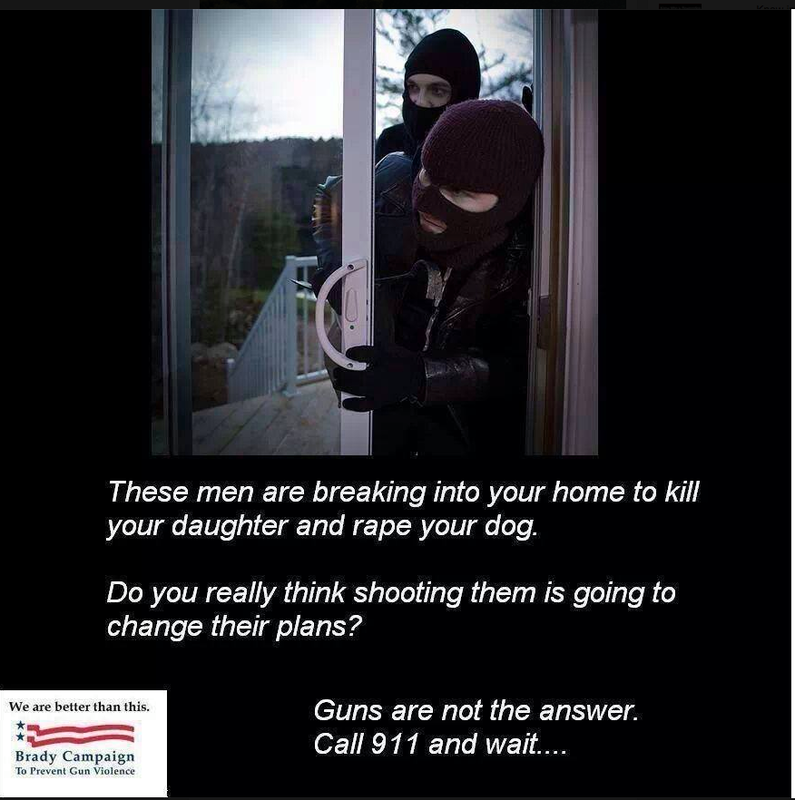 I just wish one of them would try testing this idiotic theory at my house…… but I’d settle for them trying this out at ANY gun owner’s house.